Love at first sight is a revival of an infantile impression. The first love object reappears in a different disguise. He's just my first love. My first crush. Maybe that's why they called it crush. Because it indeed crush you. Literally. Break your heart. Leave pain. Rip you apart. "I have never been in love before," Julian said. "You're my first—and you'll be my only." That first love. And the first one who breaks your heart. For me, they just happen to be the same person. First love can break you. But it can also save you. I remember what it felt like to fall in love for the first time. You think you’ll never love like that again. But you do.  Ashes to Ashes (2014. p. 387), last page. I think, I first fell in love when I was in fifth grade with this boy who kept his glass ruler in the sunlight and made rainbows on my desk with it. Falling in love for the first time is like an instant realization of just how old your soul really is. My first love. He was my first favorite mistake. You get over your first love by falling in love with something new. And you will be my last. 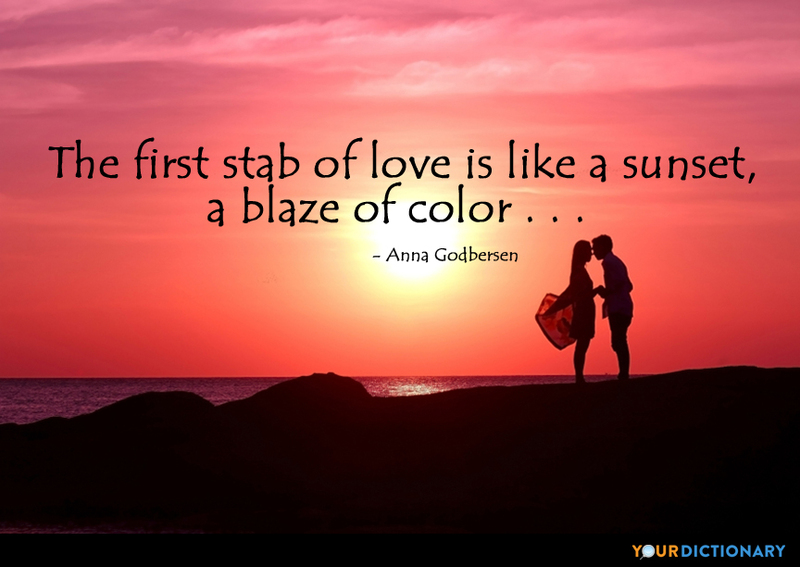 True love, especially first love, can be so tumultuous and passionate that it feels like a violent journey. Men always want to be a woman’s first love—women like to be a man’s last romance. No, there’s nothing half so sweet in life as love’s young dream. Like being in love, she said, for the first time. It was written in the stars, for two young and wild at hearts. Around one boy, and one girl. Before we belonged to anyone else, we were each other’s.